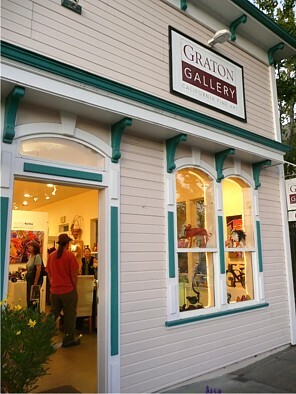 Graton Gallery is located in the heart of west Sonoma County. The gallery and adjacent sculpture garden showcase original fine art paintings, prints and sculpture, along with jewelry, pottery, glass, textiles and wood crafts by over 50 local artists. Since first opening in August 2002, Graton Gallery has offered an ever-changing variety of original art, and is a favorite destination of those who find it. 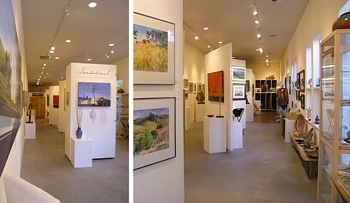 Behind its narrow store-front, the long, high-ceiling show space and adjacent sculpture garden hold one of the largest overall selections of local fine art and artisan crafts in Sonoma County. 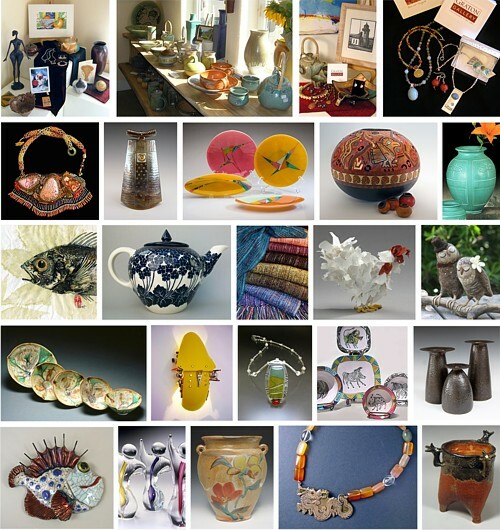 The Gallery is owned and operated by a partnership of 8 local artists; Sally Baker, Marylu Downing,Tim Haworth, Bruce K. Hopkins, Rik Olson, Susan Proehl, Sandra Rubin and Mylette Welch. Partners share a common interest in actively supporting the arts as Board Members, Volunteers and Directors of local arts organizations. New art shows debut every 5 weeks. Opening receptions for each new show offer the public an opportunity to meet the artists, engage in lively conversation, and enjoy our famous hospitality! 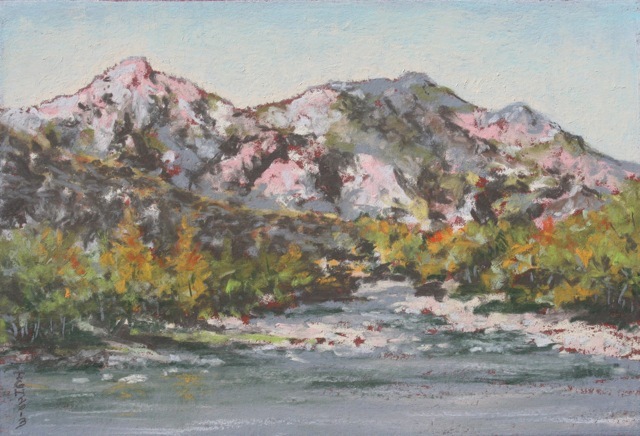 Graton Gallery has a unique relationship with a vast pool of professional artists and is able to draw new guest artists for each show. 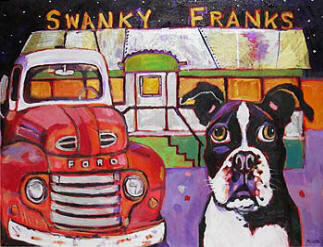 The Gallery hosts 2 juried shows each year to share our walls with the larger artists community. Early in each year we host the Small Works juried show and each summer we host the Anything Goes juried show of medium sized works. We invite accomplished artists from our area to jury each show and all local artists are encouraged to enter and and help celebrate the quality and diversity of our talented local artists community. Come meet the artists and enjoy Graton Gallery's famous hospitality! 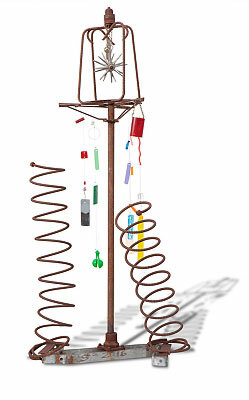 Graton Gallery has been voted 2013 Best Art Gallery in Sonoma County by the Press Democrat's Readers Poll. Graton Gallery is honored to be chosen as “Best Gallery”. The readers of The Press Democrat get to pick their choices in dozens of categories for the very best of what Sonoma County has to offer. Thank you Press Democrat and Readers!! Read the Press Democrat's online poll results. Celebrating GREAT ART since 2002! Once considered a “rough little apple cannery town” Graton has become a favorite of locals as well as a tourist destination. Graton is located 4 miles north of Sebastopol via HWY 116 - turn west on Graton Road for .5 miles to reach town. This laid-back and dog-friendly community is home to artists, writers, musicians, retirees, and young families. Graton’s small, yet charming business district is an eclectic mix of Zagat-rated restaurants, contemporary fine art and handcraft galleries, antiques, a boutique clothing company, convenience market, wine production facility, community hall, and real estate offices. Behind the restored historic storefronts lie some of the best restaurants in the county including Underwood Bar & Bistro, Willow Wood Market Café and Mexico Lindo. 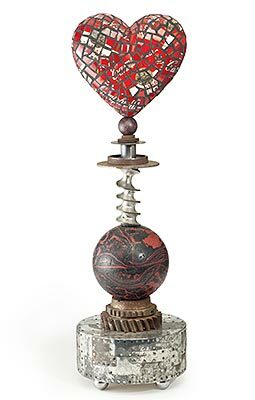 Graton Gallery and adjacent sculpture garden showcase one of the largest overall selections of California fine art and artisan crafts in Sonoma County. Mr. Ryders Antiques and collectables shop offers an ongoing treasure hunt. 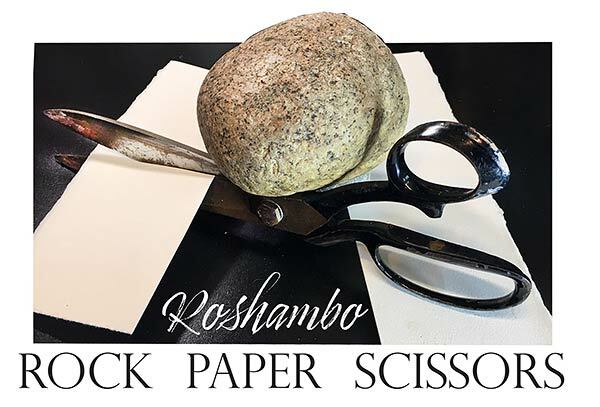 Anything made of or made on paper. 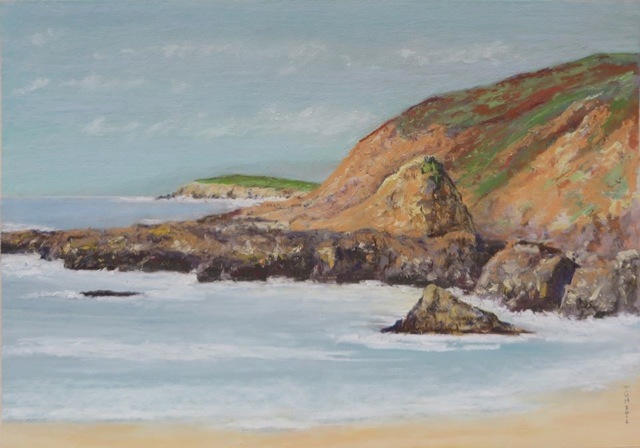 The Gallery is owned and operated by a partnership of 8 local artists who are inspired by the local culture and beautiful natural environment and their inner visions. 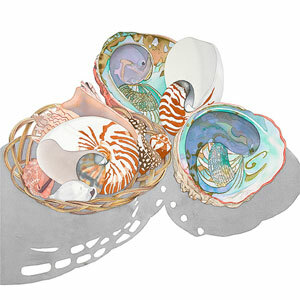 Our artist~partners cover a wide variety of subjects, techniques and inspirations. The gallery walls are constantly changing with a wide variety of art to please any art lover. Please vist each artists section for samples of our work. Sally Baker ~ Watercolors that create a specific moment in time. Marylu Downing ~ Imaginative paintings inspired by everthing a rich life and environment provide. 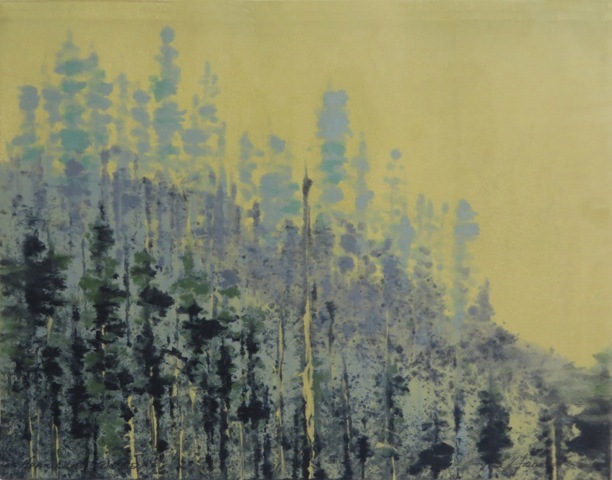 Tim Haworth ~ Plein aire landscapes, monotypes. Bruce K. Hopkins ~ Landscapes, cityscapes and figure studies and abstract art in pastels, gouache, acrylics & digital media. 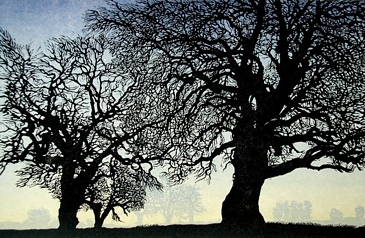 Rik Olson ~ Printmaking and painting of landscapes and more. 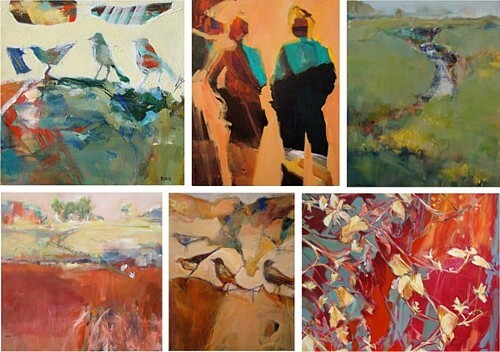 Susan Proehl ~ Absract paintings. 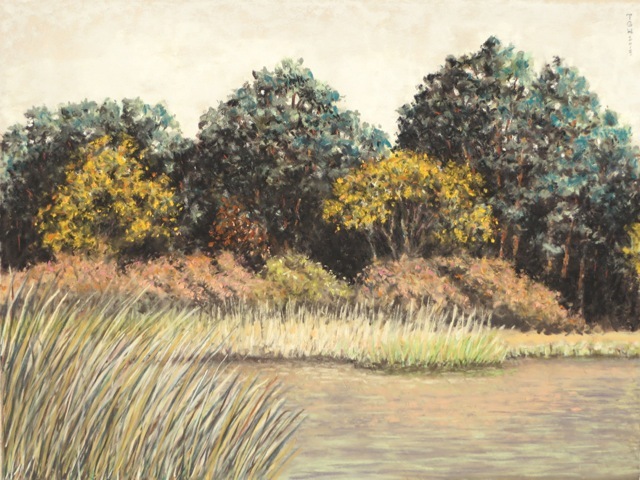 Sandra Rubin ~ Acrylic paintings of land, figure and still life expressing immediate and profound responses to being alive. 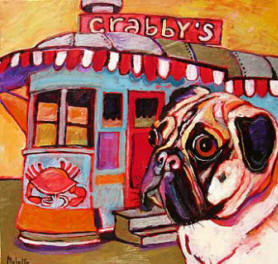 Mylette Welch ~ Colorful, playful portraits of dogs, children, old diners, and rusty trucks from a a surrealistic world of dreams and memories. 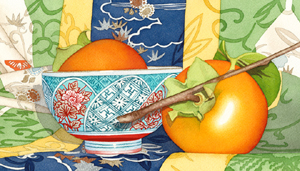 I am a watercolor artist in Sebastopol, California. I live with my husband Neil. Our son Keith has left Los Angeles and moved back to Sonoma County. Originally from Los Angeles, I received by B.A. from the University of California at Santa Barbara, and my teaching credential from the University of Southern California. 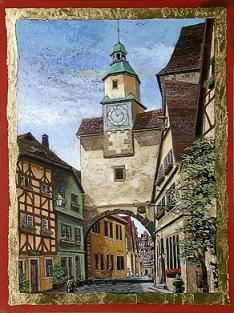 I have been teaching fine arts for the past thirty-four years and currently teach at Healdsburg High School. Artist’s statements, like their art, evolve over time. So it is with me. As I reflect on my work, I inevitably come to certain conclusions. 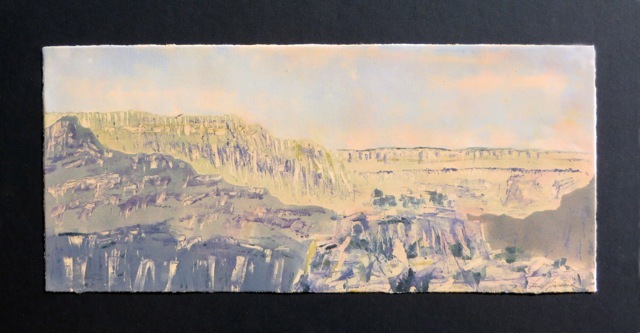 My early work spoke of my affinity with the high desert. I felt passionate about adobe structures. 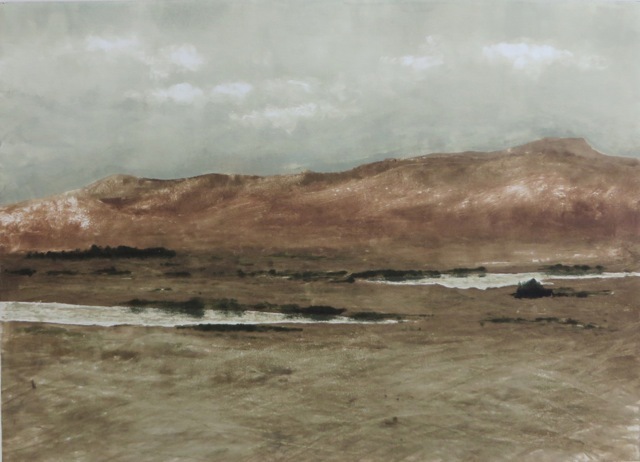 I was fascinated with the intensity of the soft desert colors. I was also drawn to the intense shadows cast because of the special light quality of the desert atmosphere. Although my work continues to focus on strong shadow shapes, I would have to say that my love of color has dominated my more current work. I love to use very saturated pigments while still allowing the light of the paper to shine through. 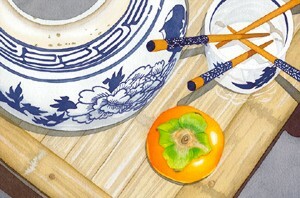 After visiting Japan seven summers ago and again three summers ago, my subject matter has focused on Asian still life. I have always been drawn the Asian aesthetic and it seems to suit my style. 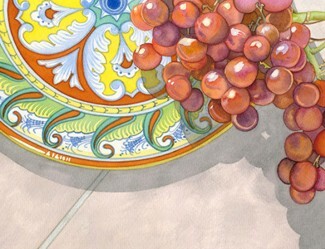 I visited Italy this past March and returned with pottery from Tuscany and my latest paintings include luscious colors inspired by the region. 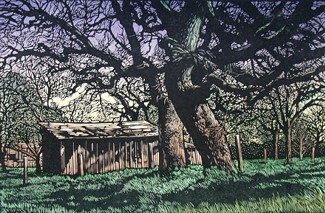 I would describe my work as sharp focused with emphasis on strong shadow shapes that create a specific moment in time. It is my hope that the viewer will be engaged, enter the picture, slow down, explore and visit for a while. I have a need, quite literally, an obsession to make art and I seek a variety of methods to accomplish that goal. 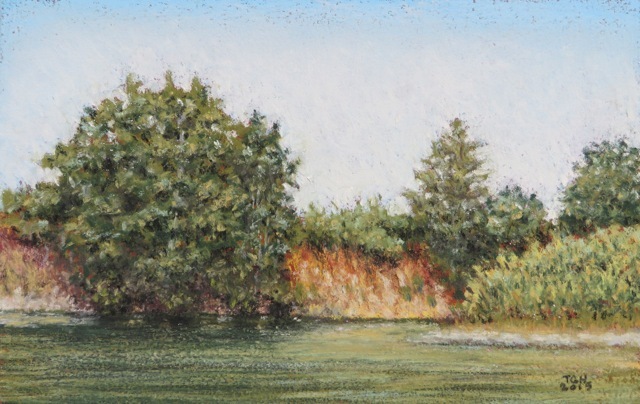 When out of the studio, I usually put my focus on plein aire landscape, painting in the moment. There is no end to subject matter here on the north coast and I take advantage of that as often as possible. My preferred medium is pastel, but I also work in graphite and conte’ pencil. Much of my studio work is monotype printing. I use oil based graphic ink in traditional and non-traditional methods. My work is grounded in landscape, using field sketches and photography for inspiration and models. I have studied with noted artists, Elizabeth Quandt and Shane Weare and I consider them mentors. 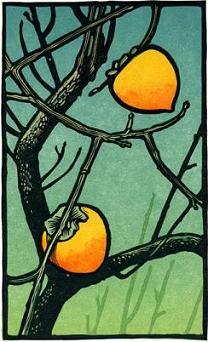 I hold a degree in fine art studio from Sonoma State University with an emphasis in printmaking. I have painted and drawn since I was eight years old. It has always been a sort of refuge for me. I never tire of seeing the way light works on surfaces, of the way colors in nature juxtapose and of the way distant mountains meld with the sky. I’m excited by the challenge of putting that experience to paper. 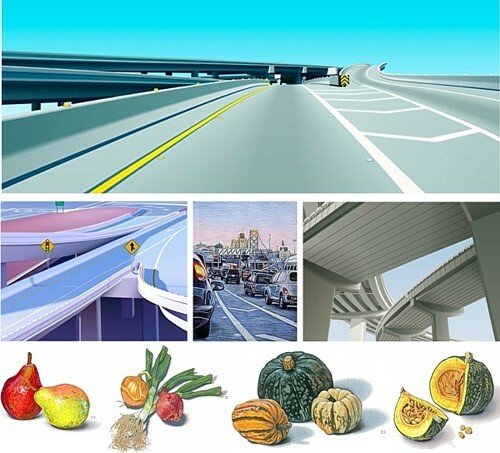 As a long time resident of California's Bay Area, I work from my studio in Vallejo, California. 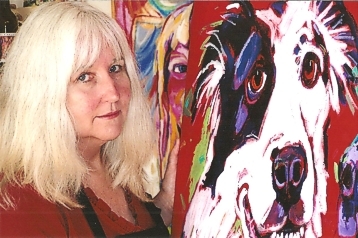 Building on a life-long interest in fine art, a BA degree in art, and an ongoing career as an illustrator since 1989, I have been exhibiting my fine art since 2000. I have a variety of visual interests, including geometric art, landscapes, cityscapes and figure studies. 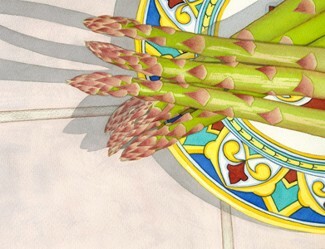 I currently work in a variety of media, including pastels, acrylic, gouache and digitally created art. Born in Antioch, California in 1944, Rik Received his B.F.A. 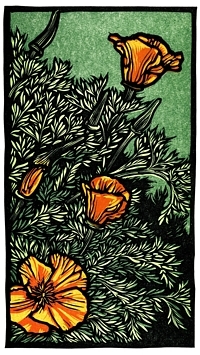 from the California College of Arts & Crafts, Oakland, in 1967. 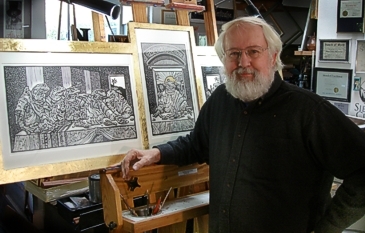 He studied and exhibited work in Florence, Italy, Germany and the U.S. Best known for his work in wood engraving, which he learned from Barry Moser and John DePol, he also works in Scratchboard, Pen & Ink, Etching, color linocut and about anything he can get his hands on. 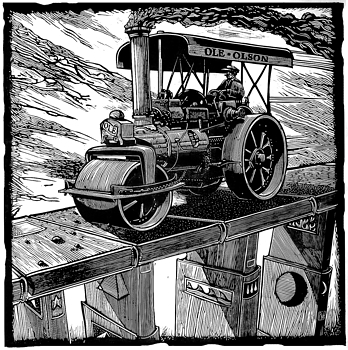 The last 20 years he has been freelancing his illustration work in the U.S. and abroad to corporate and publishing clients. Rik currently lives in Sebastopol California with his wife Brita and their two dogs. I am an abstract painter. My paintings are bold and colorful. Much of my perspective is aerial. My husband, Steve, is an aerial photographer. I have either flown with him in the helicopter or glanced over his shoulder as he edits his work. These flights and glances resonate within me. 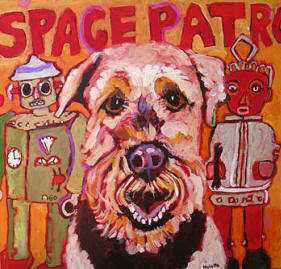 The shapes, lines, colors find their way onto my canvas..
My studio is in Sebastopol. 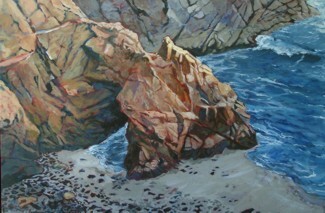 Here I daily paint and have Open Studios each year with Art at the Source in June and Art Trails in October. My abstracts begin when I paint out the white of the canvas with the color orange. I continue to randomly apply heavy black lines of pencil around the canvas. This grounds me. I work with acrylics, oil pastels, pencil, graphite, and oil sticks. Words or found objects often find their way into my pieces. I create layers with marks, lines, and paint creating stories under the layers. Scratching out to explore what is underneath, revealing hidden colors, lines or shapes and raw edges is one of my favorite experiences. Making marks and lines takes me to many places and I am always leaning towards a new direction. 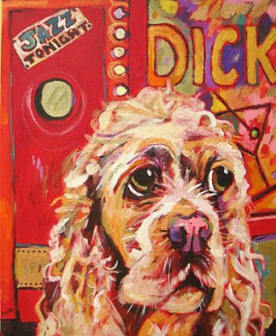 My paintings - pigment on canvases- speak for me. While my words feel clumsy, I find a visual language expresses my response to being alive, and my desire to connect. Sometimes I start with a particular image, idea or feeling (light behind leaves, spaces between branches, my dog at the beach-) usually something of beauty that “gives me pause”, that I would like to share. In the process of painting I explore- make marks and respond- to colors, lines, shapes- until something of meaning and beauty emerges. In my favorite paintings something profound happens- something I can't anticipate or totally control- but deeply honor and appreciate. I primarily work with acrylic paints- I paint figures, landscapes, sometimes still lives, often in expressive and abstract ways. I love mixing colors. I like to use marks that retain the energy of the moment. I appreciate interesting edges. I feel free to try different styles/colors/ mediums. 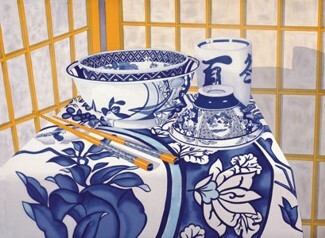 I strive for a sense of space and simplicity- as a way to approach the “essence” of my subject and communication. I like to leave space for the viewer to participate, and engage. 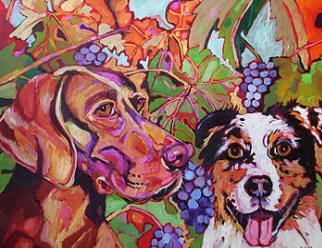 Painter Mylette Welch was born in the sun-drenched, color saturated island of Oahu. Her family moved two years later to dusty, dry Bakersfield. “Something was missing.” She remembers thinking, “Where did all the color go? 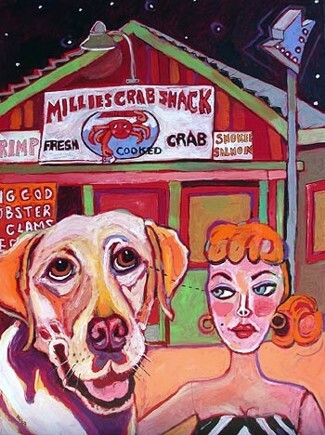 ”For anyone who has seen Welch’s paintings, its obvious that the color went into her playful portraits of stray dogs, children, old diners, and rusty trucks. Mylette’s paintings are rooted in the Sonoma County landscape- gas stations, farmer’s markets, the vineyards, neighbor’s gardens, old trucks, and burger stands. But occasionally her paintings veer off into a surrealistic world of dreams and memories, where goldfish swim around the kitchen and accordions fly through the night sky. 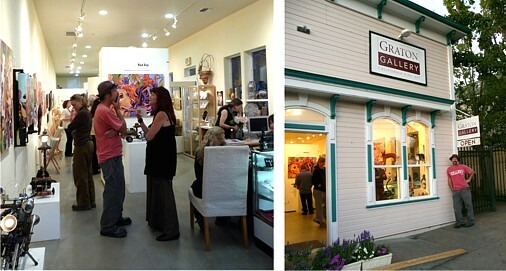 Graton Gallery is located in the heart of the Green Valley wine region of Sonoma County, California. Graton's charming 1 block downtown district is packed with original art, antiques, Asian treasures and highly acclaimed restaurants including: Graton Gallery, Mr. Ryder & Company Antiques, Art Honors Life/The Gallery at Funeria, Underwood Bar & Bistro, Willow Wood Market Café, and Mexico Lindo. To receive advance notice of our exhibitions, receptions and special events via email and/or snail mail - please send your contact info to: info@gratongallery.net.